It’s the eye of the tiger and now it’s in pipe form. 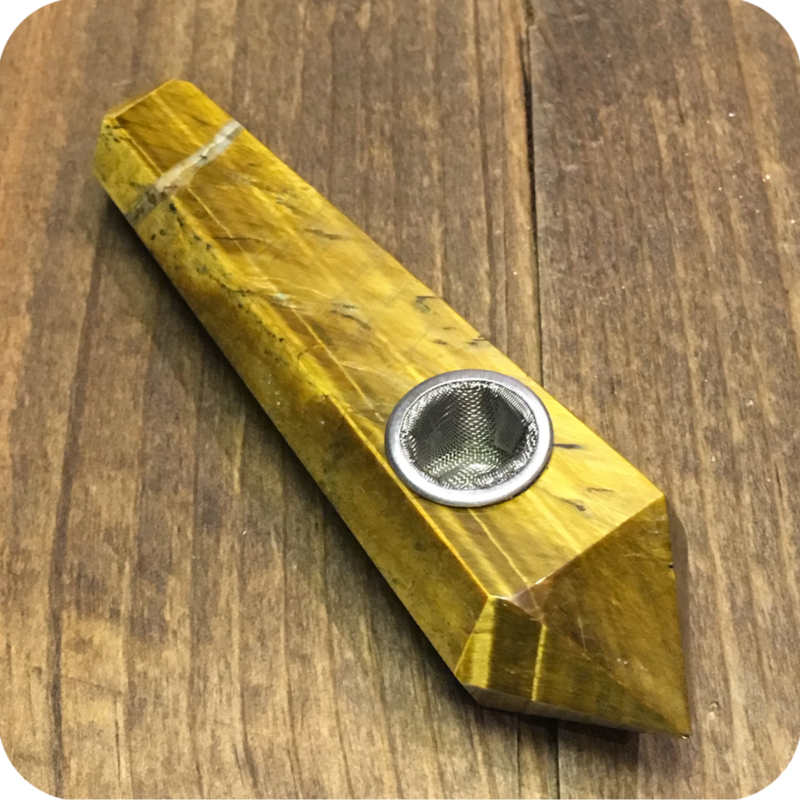 These Tiger’s Eye pipes are one of our most beautiful and unique products. 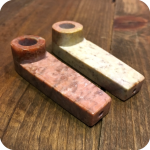 Made from the actual stone, these pipes are definitely ones to behold. Striking stripes of gold, orange, and brown will captivate you when you smoke, especially in the light of the sun. These babies are worth showing off. 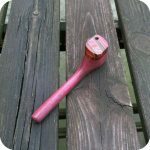 Equipped with a very decently sized bowl, these are your ideal traveling pipes. They’re durable, functional, and highly impressive. Not only are you getting another gorgeous piece for your collection but a pipe that holds energies and different types of special properties. Tiger’s Eye is known to give the user a more heightened sense of sight. Using the powers of the sun and Earth, Tiger’s Eye bestows stability and awareness in one’s life. Tiger’s Eye helps one see clearer a situation and better understand why it occurs. With Tiger’s Eye you can expect a better look into yourself and the world around you. If you’re in the market for a stunning piece that will last you through the ages, look no further. 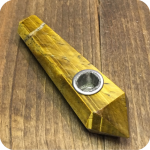 This Tiger’s eye pipe will fit perfectly into the palm of your hand which is also great for the absorption of it’s energies. 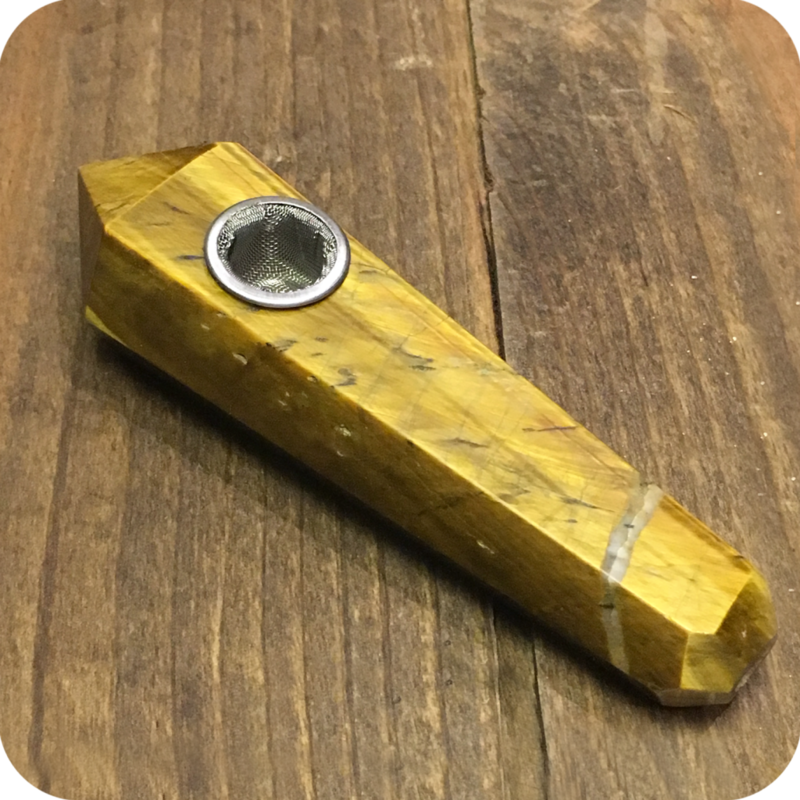 Make this lovely piece a part of you smoking ritual and you wont be anything but satisfied! 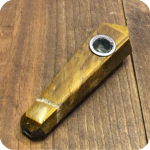 We also have plenty of other crystal pipes on sale if this pipe isn’t reaching out to you. Tags: Brooklyn, brooklyn smoke shop, bushwick, bushwick smoke shop, crystal, crystal pipe, glass shop, nyc smoke shop, pipe, Sunflower Glass Company, sunflower pipes, Tiger's Eye, tiger's eye pipe, williamsburg, williamsburg smoke shop.